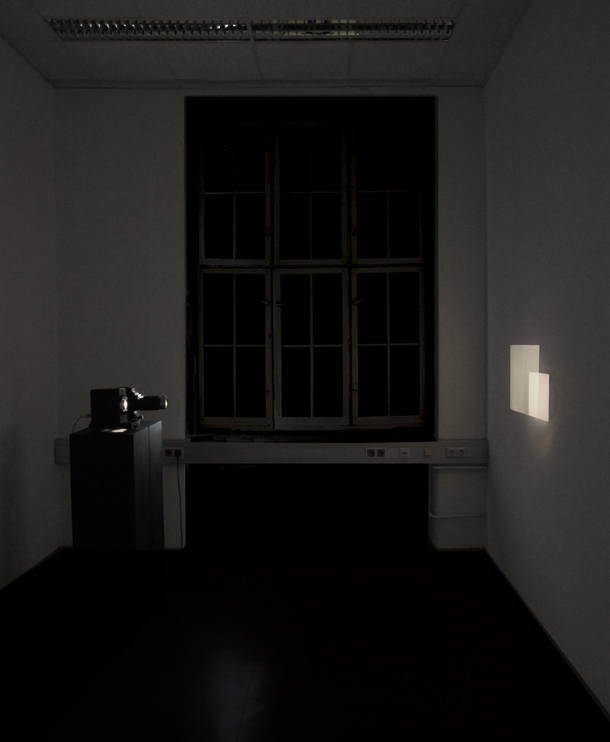 Two empty frames are put into two slide projectors. The two slide projectors are positioned so they project onto the wall and form two white illuminated fields. 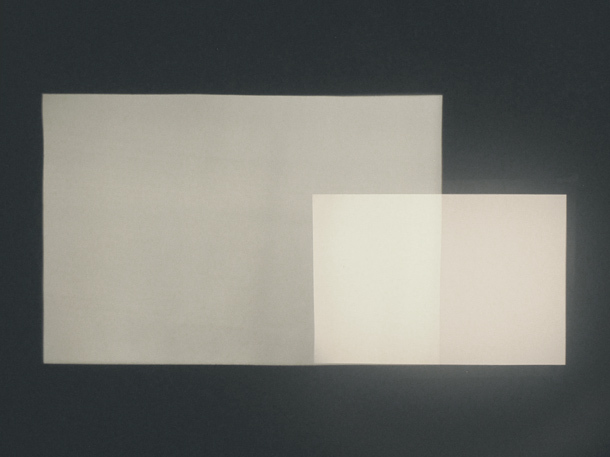 Each field has different white tones as a product of the particular light bulb and optics of each projector. The fields overlap and form another white field which is gloving more than the other two and appear more white than the others. The work creates a situation where white light is split by white light and the definition of white is questioned and put into perspective.